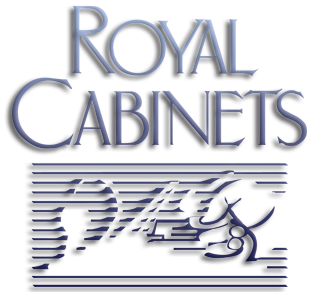 Royal Cabinets was founded in 1983 by its current management team of Clay Smith and Bill Roan. The company designs, manufactures and installs cabinetry for the new construction residential market. This includes single family tract homes, multiunit “for sale” condominiums. Royal Cabinets provides a “turn-key” approach for private and publicly owned homebuilders throughout the Southern California region. In 1991, Royal expanded its market to include a modular line of cabinets distributed throughout California through HD Supply. Recently, Royal Cabinets has expanded its market to include military housing, resorts and residential apartment projects. With manufacturing facilities in Pomona, CA and manufacturing of modular cabinets in Tijuana, Mexico, Royal Cabinets has 250 plus employees, with a total of 265,000 square feet of manufacturing space. Royal Cabinets is a fully integrated manufacturer, with sufficient plant capacity that we do not outsource most of our components. All doors, drawer boxes, molding, laminating and finishing is done in our own facilities. By keeping these components in house we are able to maintain quality and a reliable supply at a competitive cost to our customers. Our Mexico operation has been under our ownership and control since 1997 and has become a major part of our business strategy. We operate as a “Maquiladora”, which is a foreign-owned manufacturer that imports materials duty free, adding value and then exporting the finished product or components back to the United States. We benefit from the abundant and lower cost of labor long with the lower facility and utility costs. Royal Cabinets is a certified C-TPAT (Customs - Trade Partners Against Terrorism) participant with the US Homeland Security. In addition we maintain the same EPA standards in our Mexico plant as we do here in the United States. Royal Cabinets offers the widest selection available in built-to-order cabinetry, giving clients the ability to personalize kitchens with a custom look, without the custom price. We look forward to seeing you.